A good strong house near the centre of this lovely village of Ustrem, it has a cellar downstairs and 3 rooms and a corridor and kitchen upstairs, there is also access to the attic where there is more space, the garden is 200 sq metres. If you would like your house or home in Bulgaria to be in a specific village just use the search facility on the home page. Bulgarian towns and villages are many in number (around 5000) with many types of properties to choose from. 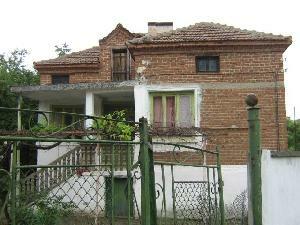 Bulgarian property is a sound investment, and there are many affordable properties in Bulgaria. For more information regarding the Bulgarian notary act, please view the article on the home page.